The Euonymus Tures Burning Bush is a nice uniform shaped selection of Euonymus with stunning red fall color. The Tures variety of Burning Bush is a large growing shrub with a very rounded shape. 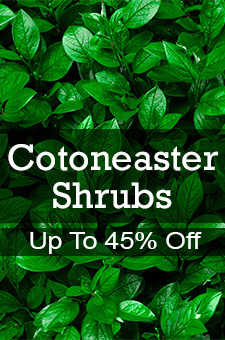 It is an excellent choice for hedges, screens, mass planting or as a focal point in a garden bed or natural area for a splash of eye-catching color. Your Tures Burning Bush will begin to redden in August, achieving its full fiery splendor in September. It will hold its leaves until well into the fall and during this time you will notice the very attractive red fruit that the birds will appreciate as the weather turns cold. Although the Tures Burning Bush resembles the Compacta it has larger "corky" wings on its stems giving it a much more dramatic appearance in the winter. The Tures also provides a more brilliant scarlet, almost fluorescent fall color. The Tures Burning Bush is an adaptable shrub that can thrive in a variety of soils as well as full shade.  It is a wonderful addition to any landscape for its symmetrical shape, unique bark and incredible fall color.